Yesterday UT (hook ’em horns!) 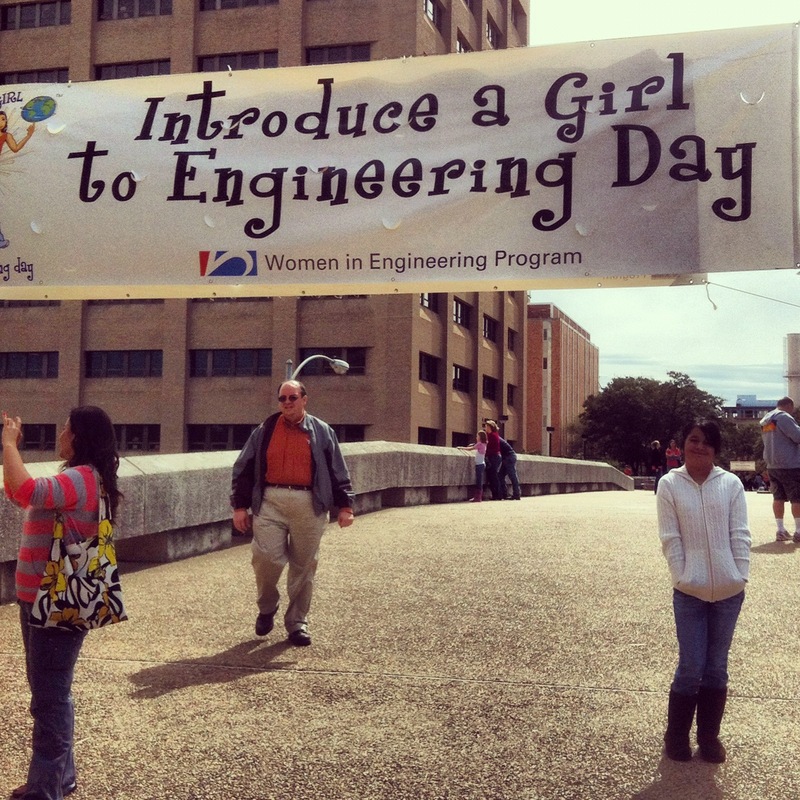 hosted Introduce a Girl to Engineering Day. It was a way to reach out to girls and make the thought of pursuing a degree in engineering less intimidating and something they can strive towards. It turned out to be a lot of fun, it was obvious that a lot of hard work and thought went into planning the event. I also took the opportunity to check out the type of girls in the engineering department. Sounds very creepy I know, but I always wonder what kind of environment my oldest daughter would “fit” into and she she seems like she would fit in just fine in that environment. My daughter is very smart, almost scary smart, when it comes to math and reasoning. 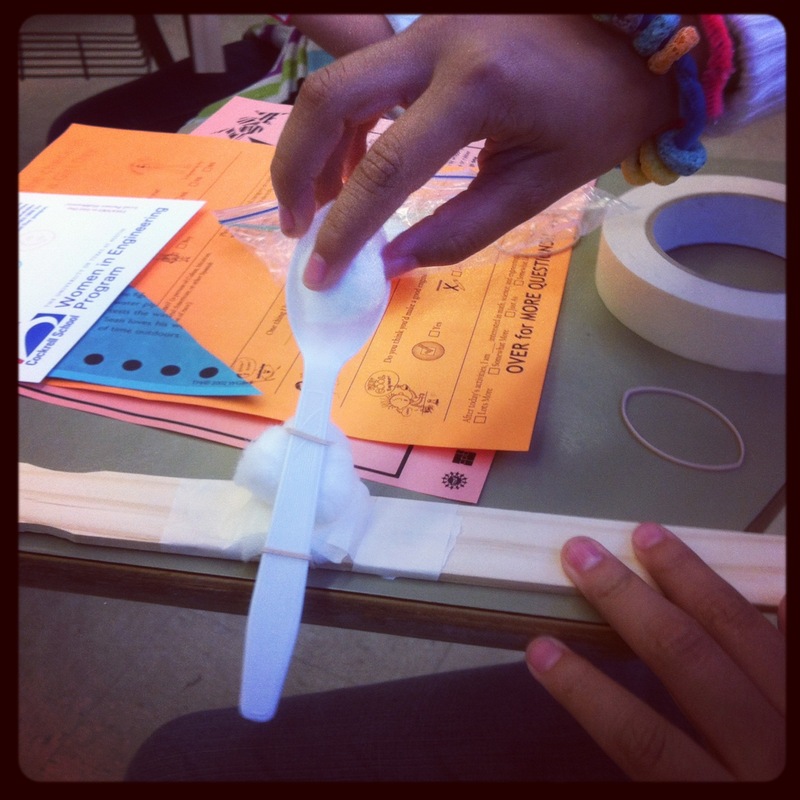 She is in her Talented and Gifted (TAG) program at school and often scores 100 percent on her state testing scores. But she is an example of balances, she is super-smart but not the best in social situations. Often she is in her own little world, floating through the world on her own little cloud. If someone asks her a question it might seem like she’s not there, but it just takes a few moments for her to organize her thought for an answer. At the university I did see several girls there that seem to have as much or even more difficulty in talking or approaching people and that gave me a sense of relief that she will find a place in this world. 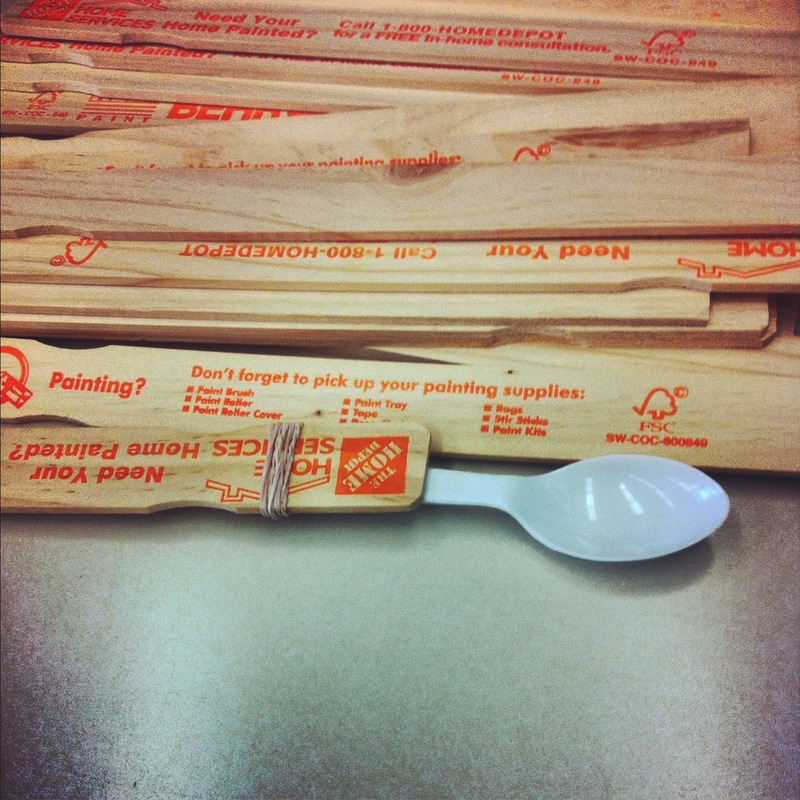 One of the activities was to make a catapult with a spoon and a stir stick along with a couple of other materials. This was the example on the table, which almost all the girls set about copying exactly. My daughter sat down and starting making her own design, I was dubious at first but the design turned out to work surprisingly well. I was so proud that I told her I thought it was really great that she went about her own design when the other girls just copied the example. Her response, “there was an example?” Yep, that’s my daughter. 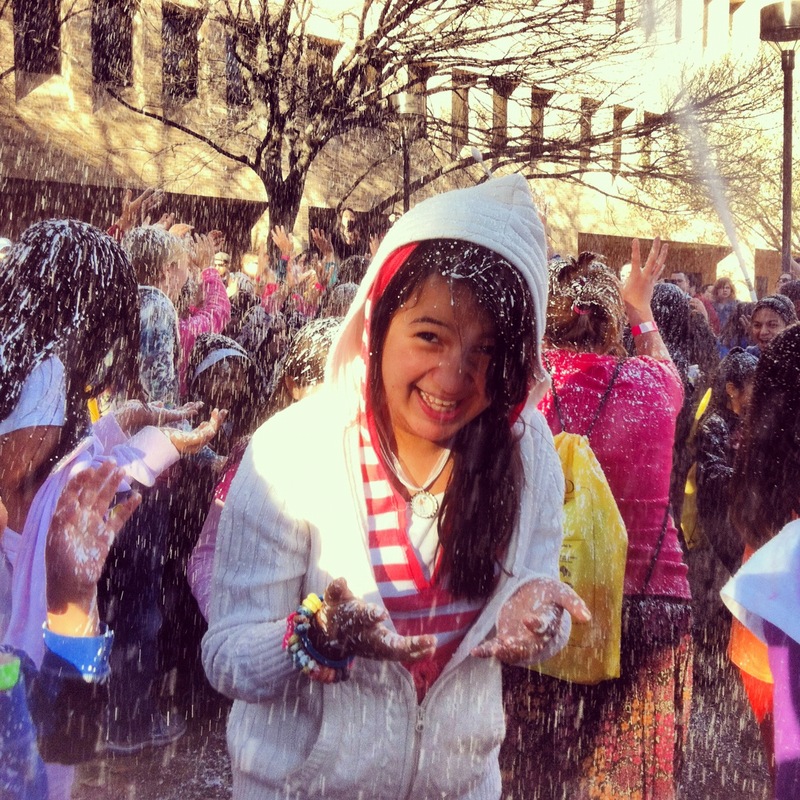 At the end of the day they piped in some “snow” and the girls all screamed and had a great time. I think we’ll be doing this again next year. This entry was posted in Instagram, Parenting, Project 366 and tagged engineering, engineers, gifted, girls, Instagram, project 366, University of Texas, UT Austin, women. Bookmark the permalink. Thanks! I think it was one of those lucky shots where everything came together in that moment.